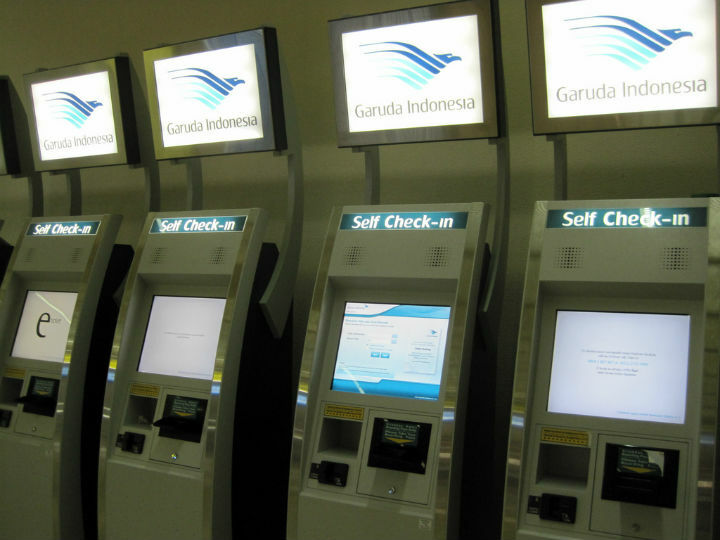 State-owned airport operaor Angkasa Pura II is preparing a self check-in system to ease travel for mudik passengers without baggage at the busy Soekarno-Hatta Airport. The service will be available in Terminal 1A, 1B, 1C and Terminal 3, which will all be dominated by mudik passengers heading to the regions to celebrate the Idul Fitri holiday. The self check-in system will operate curbside and be serviced by mobile customer service staff who can assist customers if needed. Senior General Manager of Soekarno-Hatta Airport Suriawan Wakan said the system will anticipate a surge in passengers and limited check-in space. “We will do our best to optimise our service though it will be very crowded during the mudik season. That’s why we are also trying to avoid long queue of customers by planning the self check-in system,” Wakan said. Passengers who do not have any checked-in luggage can go straight to the terminal and check-in within two hours of departure. Airport staff will be stationed at the kiosks to ease usage and assist passengers. Soekarno-Hatta Airport staff will also man a Posko Layanan Mudik, or Mudik Service Post, running until July 10 to help customers and provide stronger security. Meanwhile, the 600 officer strong task force, including members of the National Army, aviation security and airport police, Operation Rahmaniah will be conducted throughout the airport. This includes monitoring not just terminals but also random inspections of vehicles to avoid possible smuggling incidents.